Boppy Lounger and Newborn Play Stimulation is in collaboration with Boppy. I received product in exchange for my personal thoughts. There really needs to be an epic introduction for my newest addition. If you follow me on any of my social channels, you’ve seen photos of my princess. Miesha arrived making quite the appearance September 26th. I drafted her birth story, but that post will have to wait a bit longer. 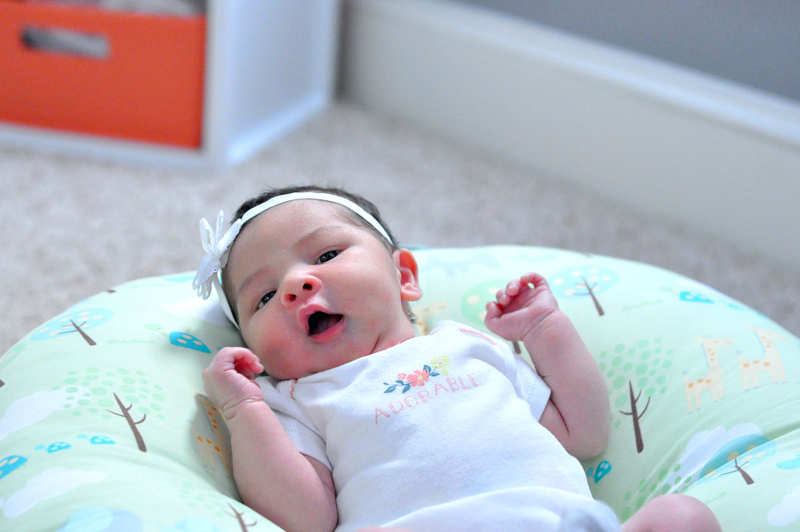 Todays post is dedicated to the Boppy Lounger, this little nugget has spent her fair share of awake time lounging in this thing. The Boppy Lounger has actually contributed to my days quite drastically. Miesha has been a dream baby, thus far. Like most newborns when she is not eating, she is sleeping and then for just a little bit she will show off her gorgeous eyes and grace me with her presence. That’s about the time I get out the Boppy Lounger and join her for newborn play stimulation. It’s a great time to let the boys have some time with their baby sister also. They love visiting with her, talking to her and helping mom watch her. Obviously I don’t leave them alone, but they feel like big helpers sitting next to her while I fold clothes, or do other small tasks. Miesha is very content to have her brothers entertain her while she sits on the Boppy Lounger. 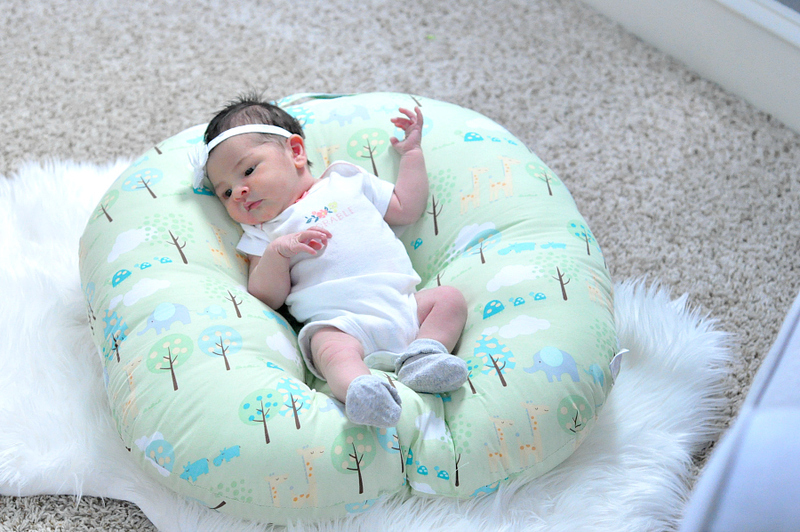 The Boppy Lounger is the perfect size for a newborn and it has the perfect pocket that fits babies bottom while still allowing her to have her head and legs elevated just enough to sit comfortable. Interacting with your newborn is very important. When she’s awake we spend time connecting with her. Talking, singing and giving her attention while she sits in her Boppy Lounger. It’s the perfect way to stimulate her as she studies our faces and begins to coo and find her voice trying to talk back to us. I find that stimulating her right before bed time has been great for our routine. She is sleeping a good 3-4 hours in-between feedings after an evening of awake play on her Boppy Lounger. Learn more and shop the Boppy Lounger, it makes the perfect newborn gift. The Delta Children Avery Upholstered Glider features a simple gliding design, providing smooth gliding motions. 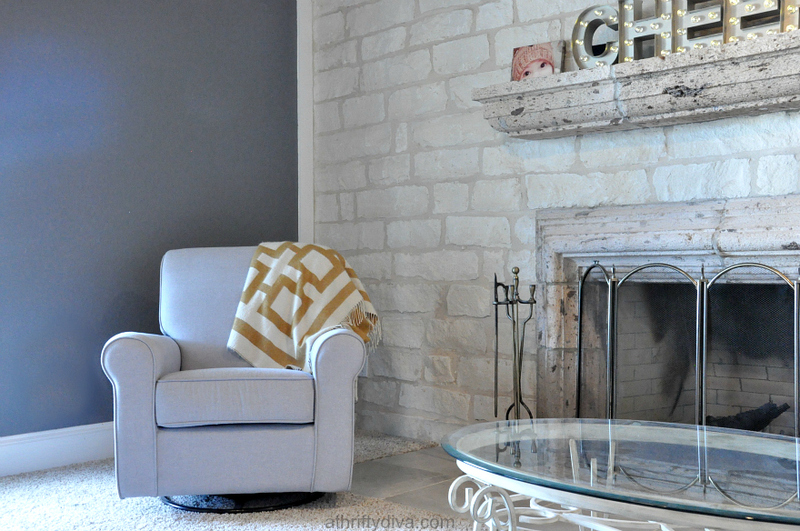 One of the most coveted furniture items for families with a new baby is a glider.